Do you want to make money selling online? If so, there's never been a better time. Today, you can profit not only from eBay, but also by plugging into Amazon and other exciting marketplace opportunities. And, whether you're just looking at a clear-out, need a second income, or want to establish an e-commerce enterprise, this book is your indispensable guide. In this brand new third edition of his bestselling Make Money on eBay UK, Dan Wilson has distilled nearly 15 years experience with eBay, small businesses and internet selling. 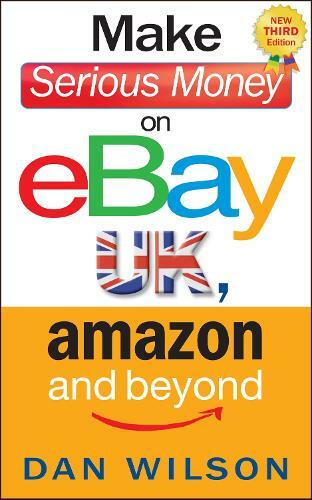 Whether you are a fledgling seller, full-time trader or e-entrepreneur, Make Serious Money on eBay UK, Amazon and Beyond is the guide to keep by your side.